The U.S. Department of Energy has established a R&D center for lithium-ion battery recycling technology, dubbed "ReCell Center," in order to solve the problem of flooding used lithium-ion batteries and shortage of lithium supply, caused by excessive mining of the mineral. 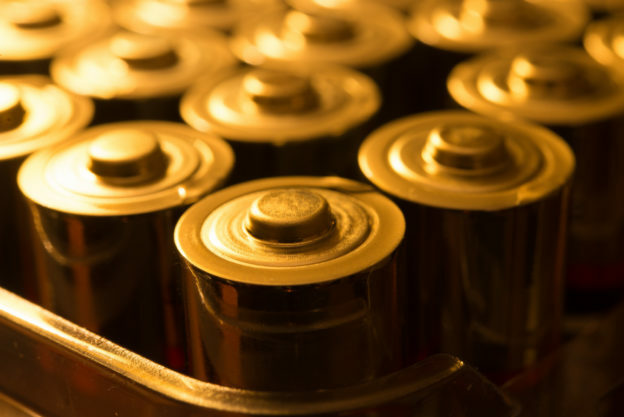 Disposal of used lithium-ion batteries has become an increasingly serious problem in recent years, a result of its extensive applications, including smartphones, notebook PCs, electric cars, and energy storage systems. Canadian battery recycling firm Li-Cycle predicated that given growing popularity of electric cars, the amount of used lithium-ion batteries will top 11 million tons worldwide by 2030. At present, recycling rate for used lithium-ion batteries has been quite low, even less than 5% in the U.S., despite their rich mineral contents, including not only lithium but also cobalt, both with limited supply worldwide. * development of new battery design, which makes recycling even easier. * development of new modeling and analytical tools. Global deposits of lithium are located mainly in Southern America, Africa, and Australia, while Congo boasts the world's largest cobalt deposits. Meanwhile, China is a major supplier of lithium-ion batteries on the world market. Jeff Spangenber, director of ReCell Center, pointed to the urgency for the development of battery recycling technology, citing increasing popularity of electric cars and expectation for massive amount of used electric cars in the coming years.